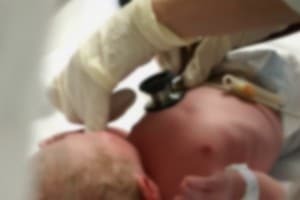 This blog describes how newborn babies can become infected with Group B Streptococcal (GBS) bacteria, why campaigners have repeatedly called for screening for GBS infection to be offered to all expectant mothers and considers how one such screening programme was offered at Northwick Park Hospital in London and the impact that this has had on London families. The Royal College of Obstetricians and Gynaecologists states that Group B Streptococcal (GBS) bacteria is the most common cause of life-threatening infection in newborn babies and is passed on to babies by their mothers. In the US and other parts of the world, it is recommended that all pregnant women are screened for GBS, but similar recommendations have not been adopted here in the UK. Recently I read about a pilot screening programme carried out at a Hospital in London, in which no participating mothers passed the bacteria to their babies, and how this has spurred campaigners and increased the support for universal testing to be offered to all pregnant women, to save the lives of many babies across the UK. GBS infection in newborn babies is usually described as early or late onset. Early onset is classed as GBS infection with presents within the first 6 days of life. Late onset is a GBS infection which presents when a baby is between 1 week and 3 months old. The leading UK charity for the infection, Group B Strep Support, have a very informative website, and advise that symptoms of early onset infection include irritability; poor feeding; lethargy; low blood pressure and abnormal heart rate and temperature. A baby infected with late onset infection may appear floppy or irritable with pale, blotchy skin. They may turn away from bright light or have involuntary stiff, jerking movements. The charity estimate that around 1 in every 10 babies infected with GBS will not live. Of the babies who survive GBS infection, approximately half of them are likely to have long term mental and/or physical problems. It has been through representing families whose lives have been impacted by GBS, that I have become more aware of the devastating consequences of this infection. The age old adage that ‘prevention is better than cure’ is particularly true of GBS infection. The guidelines for the prevention of early onset GBS Disease, put together by the Royal College of Obstetricians and Gynaecologists, recommend that the best treatment to prevent newborn babies from developing GBS infection is to give mothers with the infection antibiotics during labour. When antibiotics are given from the start of labour or waters breaking, this has proved to be very effective at preventing GBS infection in the baby. In France, Germany and the United States, all pregnant women are screened for GBS during their routine antenatal appointments. In the UK however, the current guidelines recommend that screening for GBS should not be offered to all pregnant women because there is insufficient evidence to demonstrate that the benefits to be gained from screening all pregnant women and treating those carrying GBS would outweigh the harm. The current guidelines only recommend testing women who are deemed to be ‘at risk’, such as women with previous GBS infection. In some cases the infection is only picked up by chance. Northwick Park Hospital recently carried out a year long pilot screening programme whereby all pregnant women were tested for GBS. The results were really encouraging – none of the participating mothers who tested positive for the infection and provided with antibiotics passed the bacteria to their babies. An interesting result was that only half of the women who tested positive for GBS would have been classified as ‘at risk’ under the current guidelines and therefore would not otherwise have been tested and provided with antibiotics. The results of the pilot programme have prompted campaigners to call again for an overhaul of the current guidelines, which arguably leave many babies at risk. Whether or not they will be successful is yet to be determined, but these recent results certainly must provide food for thought.